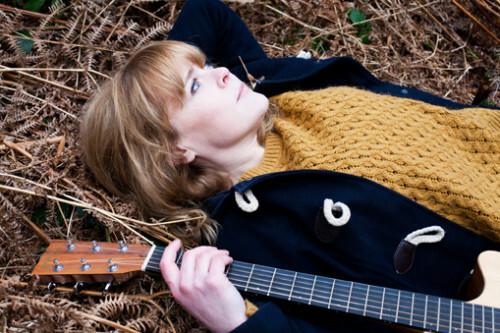 Yorkshire-based singer/songwriter Helen Chambers has earned many a plaudit for her beautiful, down to earth, country-infused songs. Her talents have been recognised by press and peers alike; being described as “one of the best singer songwriters the UK has to offer” by, music blog, The Ruckus and sharing the stage with the likes of Brian Fallon (of The Gaslight Anthem), Chuck Ragan, Dave Hause and Emily Barker. A mix of classic easy listening and contemporary acoustic music, Helen’s sound fits well within the boundaries of ‘country’ and ‘folk’. Driven by her soft, yet powerful, voice and simple acoustic melodies, her music has mass appeal and, despite being ‘too country for folk punk and too folk punk for country’, has seen her embraced by punk rock and folk fans alike. This ability to transcend genre made Helen an ideal inclusion on The Revival Tour and, tour founder, Chuck Ragan invited her along in 2011. Performing on a variety of dates – including a sold out show at Shepherd’s Bush Empire – Helen announced herself to fans around the UK and, having impressed so much, was asked back the following year. Helen’s inclusion on the tour coincided with the release of a split record with Ragan, for which she recorded three tracks and he covered one of hers (‘Steven Patrick’). This collaboration would not be the last, as the pair duet on ‘Banners’ – a track taken from Helen’s forthcoming debut album, ‘Penny Arcade’. Long time collaborators El Morgan and Kelly Kemp also join Helen on the record as do, double pass player, Joe Ginsberg and Morgan Brown (Down And Outs). ‘Penny Arcade’ fleshes out Helen’s songs with the addition some additional instrumentation, but remains very true to their simple, folksy, nature. ‘Penny Arcade’ is set for release some time in 2014.